DEWART, HERBERT HARTLEY, lawyer and politican; b. 9 Nov. 1861 in St Johns (Saint-Jean-sur-Richelieu), Lower Canada, son of Edward Hartley Dewart* and Dorothy Matilda Hunt; m. 5 Feb. 1891 Emma J. Smith in Sparta, Ont. ; d. 7 July 1924 near Uxbridge, Ont. Hartley Dewart was born in St Johns during E. H. Dewart’s time there as a Wesleyan Methodist preacher. In 1865 the family moved to Toronto, where his Irish-born father would rise to prominence as editor of the Christian Guardian and as a regent of Victoria University. Groomed for success in public life, Hartley attended Toronto’s model school and collegiate institute; his oratorical gifts were undoubtedly encouraged by Dewart Sr, whose tracts included The Canadian speaker and elocutionary reader (Toronto, 1868). As a youth, Hartley was introduced to two of E. H. Dewart’s most cherished causes: Liberal politics, where he would follow his father’s convictions, and temperance, on which they would part ways. In 1883 Dewart graduated from the University of Toronto with a ba. Recognizing law as a stepping stone to political life, he attended Osgoode Hall and was called to the bar in 1887. 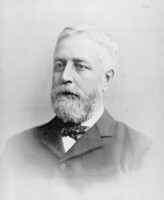 While studying law he had helped form the Young Men’s Liberal Club, which he would serve as president in 1887-88. 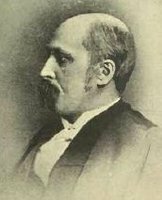 He practised in Toronto with various partners, among them William Edgar Raney*, a future political opponent, and in 1891 he was appointed a crown attorney for York County. While in practice, the ambitious Dewart, an ardent admirer of Sir Wilfrid Laurier*, carefully cultivated ties to both the federal and the provincial Liberal organizations. His occasional participation as an opposing counsel in public investigations strengthened his understanding of electoral and governmental machinations. He ran unsuccessfully in two federal elections: 1904 (Toronto South) and 1911 (York Centre). 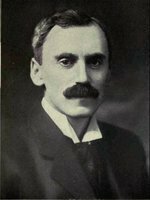 His public profile changed in August 1916 with his entry into the Ontario legislature following a by-election in Toronto Southwest, the first time the Liberals had taken a Toronto seat since 1890. Though Dewart was a parliamentary neophyte, his aggressive debating skills, eloquence, and sterling legal talents soon shone. Shortly after assuming the helm, Dewart faced his first test, the election of October 1919. Although it had been 14 years since the Liberals were in power, he set his sights on the premiership, but he misjudged the target. Party divisions undermined Liberal chances. Moreover, by focusing on his long-time rival, Conservative campaign manager (and future leader) George Howard Ferguson*, he miscalculated; like many urban politicians, he underestimated the simmering discontent among rural Ontarians. Voters found a protest voice in the upstart United Farmers of Ontario. During their turbulent four-year term, the irascible Dewart censured them relentlessly, especially Premier Ernest Charles Drury* and Attorney General W. E. Raney, but, with the Liberals plagued by internal discontent, he was unable to steer the party effectively in opposition. In 1921, suffering from ill health and bitter over the infighting, he relinquished his leadership to Liberal whip Francis Wellington Hay*. In the house, however, his combativeness continued unchecked. In May 1922, as Raney’s bill authorizing a tax on racetrack betting was about to receive royal assent, Dewart, in “unprecedented” and “sensational” fashion, stood up and asked Lieutenant Governor Henry Cockshutt* if he had been advised of the bill’s constitutionality. His final hour in electoral politics closed in June 1923 when he was soundly defeated by an undistinguished Conservative. Dewart did not sink into a life of contemplation. He continued in private practice and later in 1923 he was appointed to the commission charged with producing a new consolidation of the statutes of Canada. That same year rumours circulated about his appointment to the Supreme Court of Canada, a post for which he likely yearned. Aged 62, he died at Brookdale, his country home near Uxbridge – obituaries assigned overwork as a cause – and was buried in Toronto’s Necropolis. He was survived by his wife, mother, and brother. 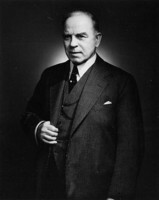 At his funeral, the roster of honorary pall-bearers, among them Prime Minister William Lyon Mackenzie King*, and the messages of condolence from the likes of Ernest Lapointe*, Mackenzie’s minister of justice, suggest that Dewart, had he lived, might well have received further rewards for his decades of public service and party loyalty. ANQ-M, CE604-S32, 12 févr. 1862. AO, RG 80-5-0-185, no.2567. LAC, MG 27, II, F1. Globe, 8-10 July 1924. Canadian annual rev., 1915-23. Canadian men and women of the time (Morgan; 1898 and 1912). H. [W.] Charlesworth, Candid chronicles: leaves from the note book of a Canadian journalist (Toronto, 1925). Cyclopædia of Canadian biog. (Rose and Charlesworth), vol.3. Directory, Toronto, 1887-1923. Peter Oliver, G. Howard Ferguson: Ontario Tory (Toronto, 1977). Margaret Prang, N. W. Rowell, Ontario nationalist (Toronto and Buffalo, N.Y., 1975). Carolyn Strange, “Wounded womanhood and dead men: chivalry and the trials of Clara Ford and Carrie Davies,” in Gender conflicts: new essays in women’s history, ed. Franca Iacovetta and Mariana Valverde (Toronto, 1992), 149-88. Carolyn Strange, “DEWART, HERBERT HARTLEY,” in Dictionary of Canadian Biography, vol. 15, University of Toronto/Université Laval, 2003–, accessed April 20, 2019, http://www.biographi.ca/en/bio/dewart_herbert_hartley_15E.html.